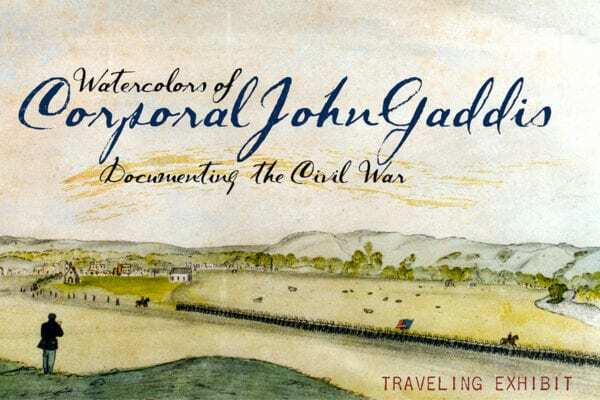 Corporal John Gaddis served with the12th Wisconsin Infantry Regiment from 1861-1864 during the Civil War. He enlisted from Dellona, Wisconsin. Despite having no formal art training, Gaddis painted many watercolors depicting military scenes while in service in the field. Gaddis passed away in Bloomer, Wisconsin in 1896 at the age of 75.